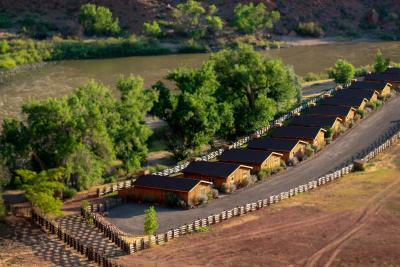 Lock in a great price for Red Cliffs Lodge – rated 9.3 by recent guests! The onsite restaurant is convenient and the location is perfect. Tucked away but close enough to main street Moab. 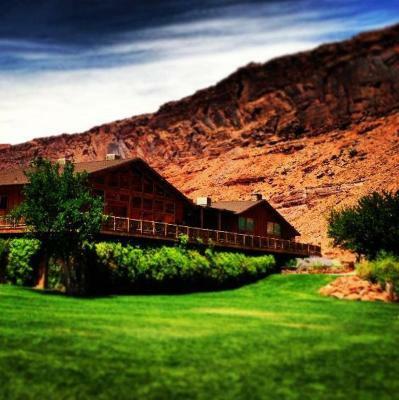 The resort is rustic and in a beautiful setting. 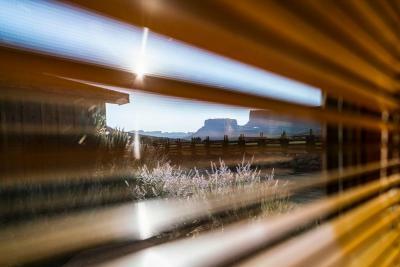 We only stayed one night as we were driving from Denver to Las Vegas, but thoroughly enjoyed our brief time there. The private patio was a huge plus for relaxing surrounded by incredible scenery. The breakfast buffet was well stocked and delicious and the dining room has huge windows to enjoy views of the river and the red rock! We also checked out the movie museum located on the premises which was very interesting! So many films and movies were filmed in the area! 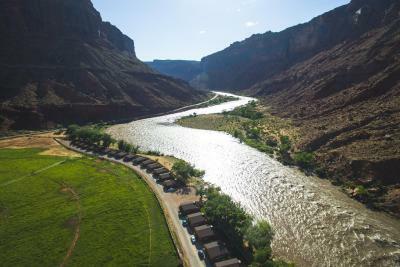 Our king room overlooking the Colorado River and canyon was beautiful, relaxing, and designed to feel very spacious . 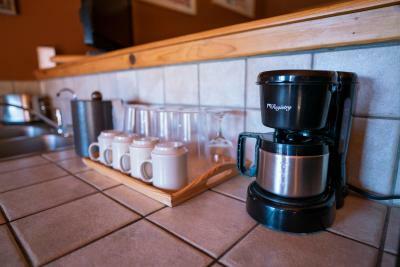 The people who cleaned did a great job and the lodge staff was always friendly and helpful. The restaurant was also beautiful with a phenomenal view. 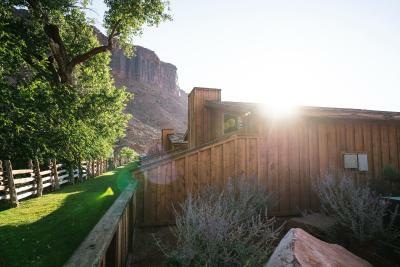 fantastic breakfast , breath taking scenery , very pro-fessional people at reception eg Rebecca - a real asset thank you for a hidden gem experience Utah !!!!!! 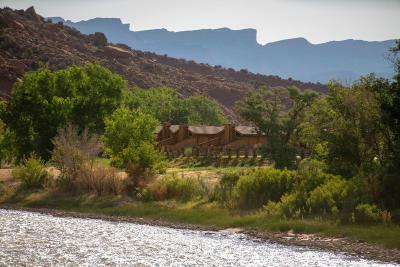 The location was off the main strip of Moab which made it feel less touristy. We loved the drive through the canyons on the way to the property and we’re pleasantly surprised to see they had a winery on site. We really enjoyed their horseback riding experience and loved soaking in the hot tub at the end of the day. 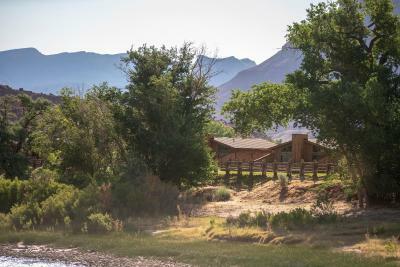 Although it is 14 miles away from the park, it was an awesome drive and we liked the more secluded and private feel of the property. They offer an incredible breakfast buffet as well as great dinner options, even for vegans like ourselves. We would love to return and spend even more time here. This place is gorgeous! 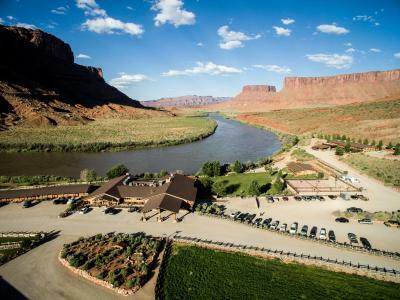 The setting is fantastic, it's close to the Arches National Park, and the restaurant view and fried trout are excellent. 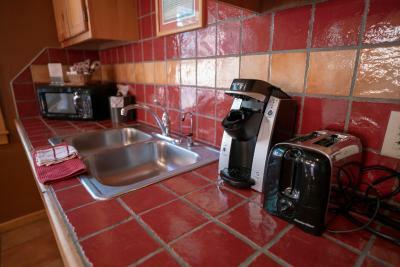 The room was well designed, esthetically pleasing, with sautillo tiles, rustic motif, and fully stocked mini kitchen. All in all an excellent place to stay. We wish we'd stayed longer than two nights, as there's just so much to do. 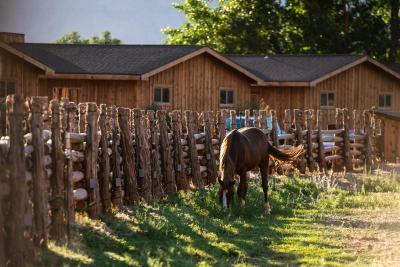 There''s horse back riding, with stables right there, and horses grazing and picturesque in the pasture. Love this resort .. it would make an ideal destination wedding venue. We'll be back! 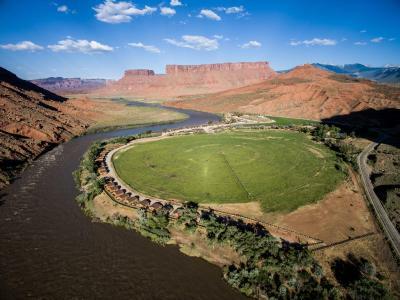 Red Cliffs Lodge was 14 miles from the main road leading into Moab with nothing but red cliffs and the Colorado River -- and a few camp grounds -- in between. 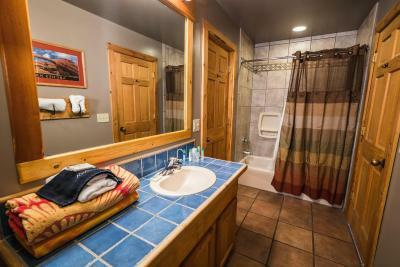 We liked being so far from town, but you had to be purposeful when taking a trip away from the lodge. 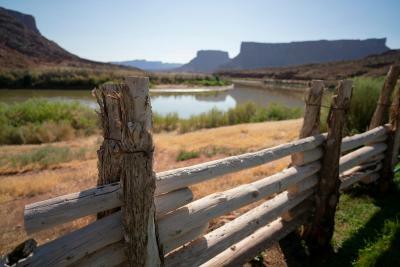 Our room overlooked the Colorado River with nothing but grass and a fence between us and the river. We reserved the King Suite; the bed was comfortable. The extra sitting area/kitchen was down 3 steps from the bedroom. No stove, but a small fridge, microwave, dishes, etc. for 4. The food was yummy at the restaurant - we had breakfast and dinner there. One night we ordered dinner and took it back to our room so we could drink our own wine. All the staff we encountered were friendly and helpful. 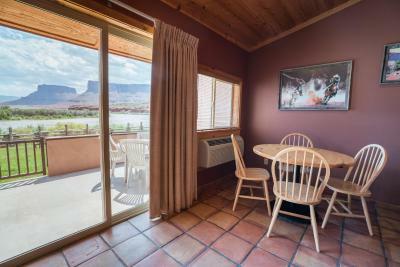 Very comfortable room with beautiful view of the Colorado River and surrounding cliffs. 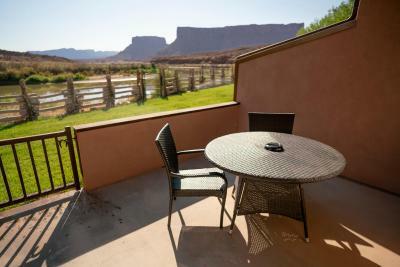 Very convenient to Arches and Canyonlands National Parks, as well as Deadhorse Point State Park. Highly recommend. If travelling with family, look into the two bedroom cabins, which we stayed in when we added an additional night to our reservation. We had two breakfasts and one dinner there: the food was fine, not great, but the setting was incredible. Try to time your dinner for sunset and enjoy the show of light illuminating the cliffs. Location is GORGEOUS!! Super friendly staff, accommodations were nice, the whole property was such an oasis to come to every night. 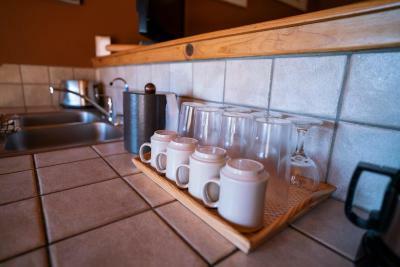 The small kitchenette was perfect! 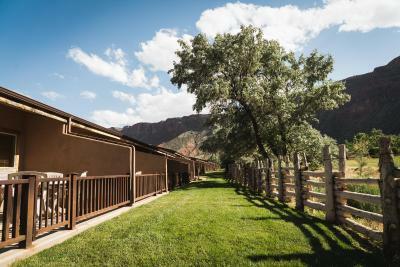 Red Cliffs Lodge This rating is a reflection of how the property compares to the industry standard when it comes to price, facilities and services available. It's based on a self-evaluation by the property. Use this rating to help choose your stay! 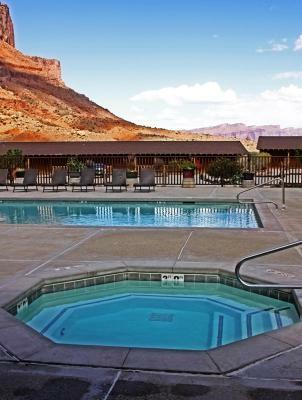 This Moab, Utah resort is on Scenic by Way 128 along the Colorado River and 15 miles from Arches National Park. 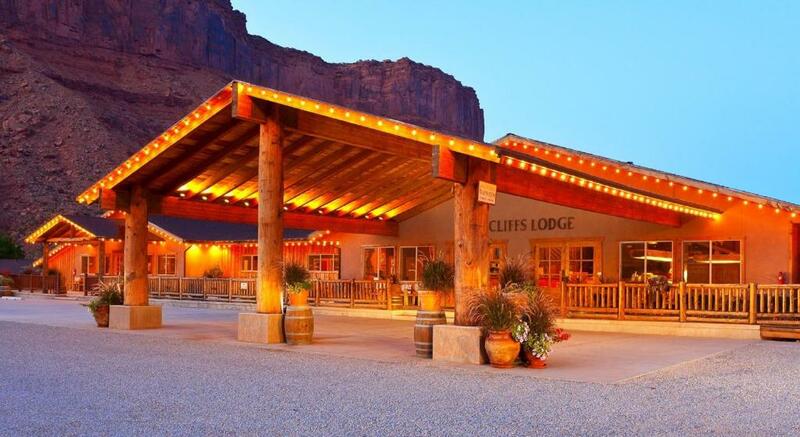 Red Cliffs Lodge boasts a horse corral, Western film museum and Castle Creek Winery. 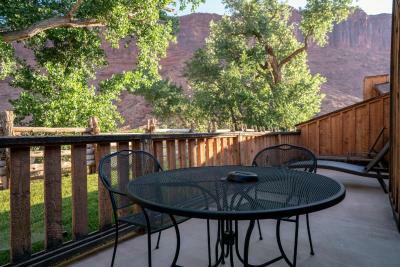 Private patios with creek or river views are featured in every suite. 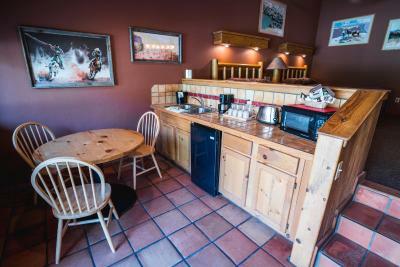 A separate living area provides a dining table, fridge and microwave. Free Wi-Fi is included. 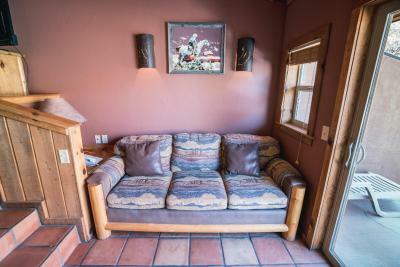 They are styled with Mexican tile floors, wood-paneled ceilings and solid log furniture. 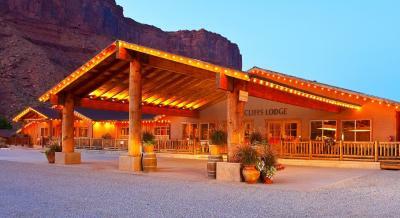 Red Cliff’s Cowboy Grill, open from March 1 to December 1 every year, offers indoor and outdoor dining. It serves traditional American cuisine for dinner and offers a Sunday brunch. Drinks are available at The Wild Horse Bar. 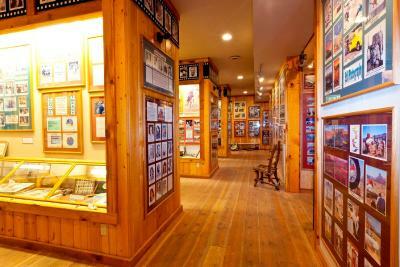 Moab Museum of Film and Western Heritage houses memorabilia from early films to the present. It is open daily and free to all guests. An outdoor pool and gym and 2 tennis courts are on site. 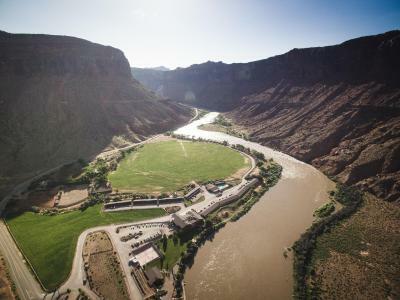 Castle Creek Winery is a fully operating winery and features a large deck overlooking the Colorado River. 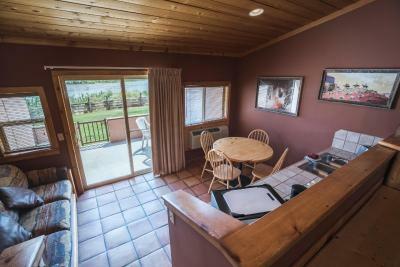 Free wine tastings are offered in the main lodge. 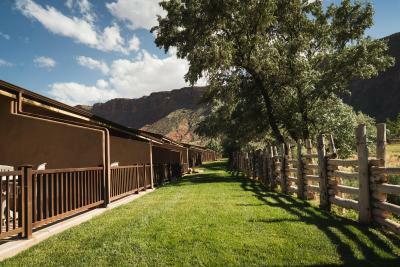 When would you like to stay at Red Cliffs Lodge? 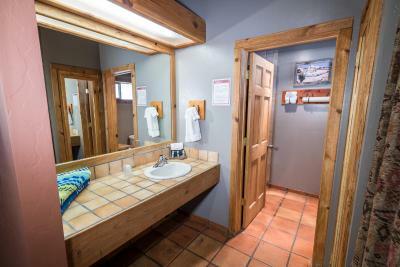 This suite offers a private patio, a kitchenette and a private bathroom. 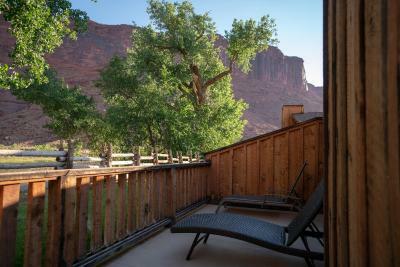 This suite features a fireplace, bathrobes, a hairdryer and private patio adjacent to the Colorado River. 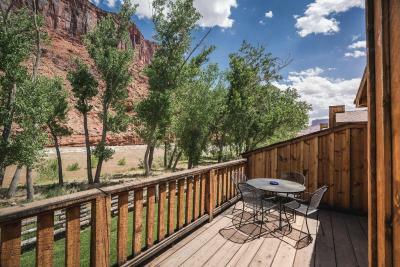 This suite offers a private patio adjacent to the Colorado River, a kitchenette and a private bathroom. 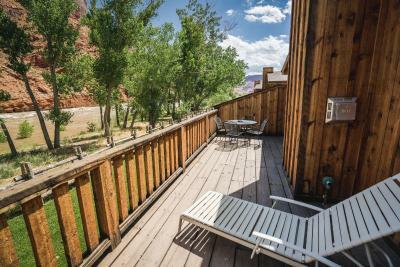 House Rules Red Cliffs Lodge takes special requests – add in the next step! 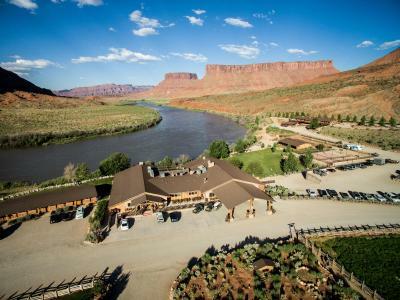 Red Cliffs Lodge accepts these cards and reserves the right to temporarily hold an amount prior to arrival. Please note that the restaurant will be closed from 1 January until 15 February each year and open from 15 February until 30 November. Restaurant will be open for dinner on weekends only from 1 December until 31 December each year. A continental breakfast is available during this time. Contact the property for more information. The ONLY negative was our check-in experience. The staff member was very abrupt and rather rude. She didn't explain where anything was or details of breakfast. Thank goodness there was a well written information book in the suite.. Wish more of a open commen space feel, the lodge didn't have a lot of common areas, everyone seemed to keep to their rooms, might be different in the summer when the pool is open. THe bar area only had four people in it, including my husband and myself to watch the final game of NCAA Tournament, might be due to no sound on TV? There is a 30 day cancellation notice which in our opinion is unrealistic. 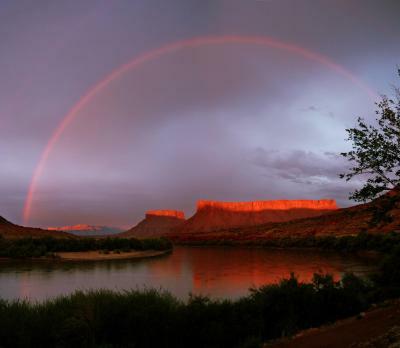 It was difficult planning our first trip to the huge state of Utah and a month before going, we decided to divide our 10 day trip between Moab and Torrey so we could visit more national parks but I was told I was a day too late to do that. This was very frustrating since I felt we gave more than adequate notice. We ended up going with our plan and had to pay for 5 nights we weren’t there in addition to paying for another place also. . This to me was unheard of, things happen, people are traveling... it would keep me from recommending it. 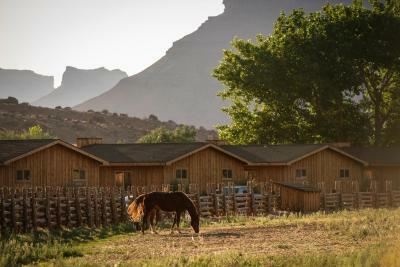 Also, as breathtaking as the ride is to this beautiful ranch, the fact that it was a very narrow canyon road 14 miles away from town was difficult , especially at night. Food was ok, Nothing gourmet like....considering the price of everything. I'm glad we chose this place because of its beauty and uniqueness but the price is quite high although the Place is not high end. Although it seemed to be warm enough during the day, the pool was closed while we were there. We would have also liked to have seen more vegan options on the menus. Specifically around their picnic lunch options, as we were told we would have had to order well in advance. But overall, we had an amazing experience and would highly recommend anyone to stay here. Ummm .. trying to think of what i didn't like, but can't think of anything. We were there at the beginning of April; we were told elsewhere that the crowds can get unbelievable a little later in the spring. I wouldn't want to be there with crowds. The 28-mile round trip to town and back was a bit far -- then another 10 or 15 miles to get completely into Arches National Park; you need to plan at least 40 minutes to get to the park, not including the wait in line to get in. We took that trip 3 times, though, because it was so worth it! 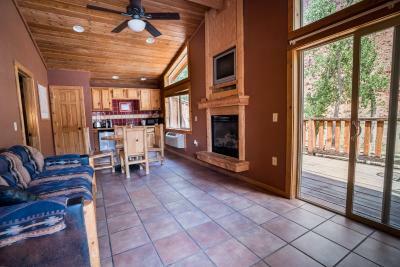 If I could change anything, I would plan at least one full restful day at the lodge and do nothing but relax. Keep in mind that reservations are required for dinner. If you can, buy your wine in town; I'm not sure if they'll let you bring your own bottle to the dining room. The bottle we bought at the restaurant was over twice the price of the same wine at the liquor store in town. The bedding could be improved greatly. I guess it would be very hot in summer...but location beats most things! Location is remote to say the least! 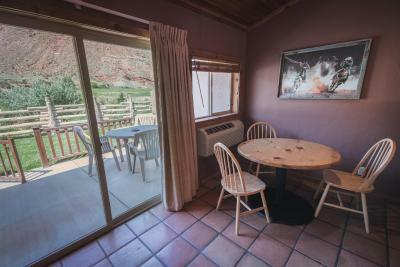 But within valley of the gods, close to Mexican hat for simple restaurants, the hosts were very helpful. Gazing at stars in the darkness was incredible! Wifi didn't work hardly at all, which was hard because you don't get cell service there. Definitely need improvement with wifi service. The pool was also closed, which we did not know ahead of time, kids were disappointed.